Two weeks ago yesterday I was up late, as usual, watching fights online. 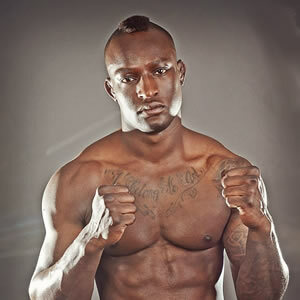 I was researching top Middleweight Prospects for my next article. I finally put myself to bed around 3 am, dreading the following days work. About an hour later my wife woke me up in a panic. She was in labor, a month early. A few hours later our son was here. I wanted to apologize for the delay with the Welterweight rankings, while thanking you and everyone at MMA Futures for being so understanding during these exciting times for my young family. Now let’s get back to the fighters! Welterweight always provides you with a mixed bag of fighters. Ranging anywhere from 5’8” to 6’5”, all of their body styles are different. Welterweight seems to be the most well rounded division, as in not one technique or practice dominates. Rather amusing when you think about Matt Hughes holding down the division with his wrestling for so many years. Every fighter on this list is skilled throughout the cage and can be one of MMA’s next big superstars. The fighter could not have greater than 3 fights in the UFC. Fighter must be under the age of 32. 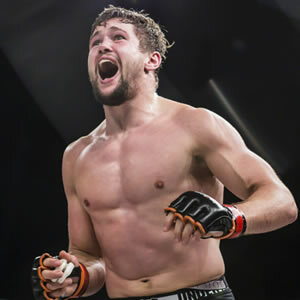 Ryan Scope is what the new breed of up and coming fighters will look like. Not overwhelming in any one area, but talented everywhere. 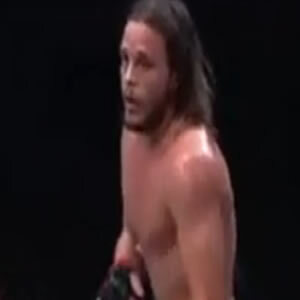 He puts good pressure on his opponents on against the cage and his some technical striking. He can’t continue to take 2 big shots just to get one off, which simply won’t work against higher competition. Look for the young Englishman to fight for BAMMA in early 2015. Tom Breese can be described only as a grinder. He has the ability to battle with anyone and in the end always finds a way to win. He is slick with his submission game and effective with his striking. It will be interesting to see him matched up against a fighter with the same level of jiu-jitsu. 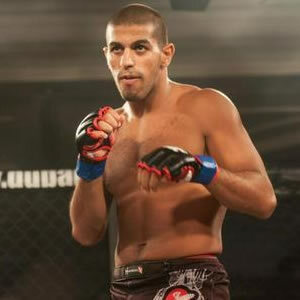 Walid is young as a professional fighter but has been a Brazilian Jiu-Jitsu practitioner since he was a child. He has a very aggressive style that has led to a finish in all 4 of his fights. He has confidence in his striking, but it is obvious he feels most comfortable on the mat. He is not ready for division king pin Ben Askren, but he should improve against OneFC competition in 2015. Antonio Trocoli is a rarity in the Welterweight division. The 6’ 5” Brazilian is obviously tall for the division, but is relentless in his effort to take down his opponent. He has shown power in his hands and legs, but his striking can be a bit sloppy. If he tightens up his striking he could be a serious contender, hopefully he gets a chance to compete in Jungle Fights in 2015. Michael Graves is an aggressive striker who uses his relentless striking to set up his ground game. Graves possesses great transitions on the ground and terrifying ground and pound. His stand up does have some holes, but being with American Top Team should ensure those get taken care of rather quickly. He looks like the new breed of MMA fighter, willing and able to take the fight anywhere. 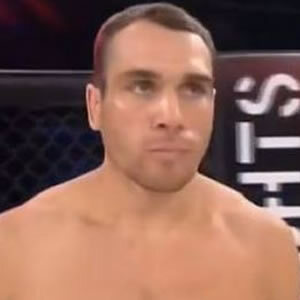 Alexey Kunchenko looks like a stalker inside the ring. He has the unique ability to always appear to be walking his opponent down. Alexey has decent hands, but his kicks are what scare opponents most. It would be interesting to see him matched up with a true wrestler with his forward style. Nicolas Dalby is a hyper aggressive freight train that uses his technical striking to outclass his opponents. 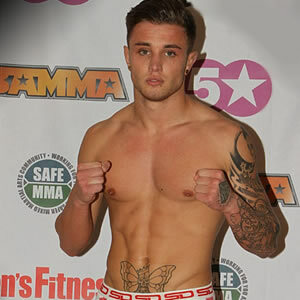 He is currently the Cage Warriors Welterweight Champion and shows no sign of slowing down. He can get a little over anxious when he thinks his opponent is hurt, but overall has a great killer instinct. Jonavin Webb has everything you need to be a future champion. Webb is a Brazilian Jiu-Jitsu black belt and has takedowns that would make Matt Hughes blush. His hands need some work, as was seen in the No Contest fight against Lyman Good. If Webb can focus on improving his stand up he will be a force to be reckoned with for years to come. Andrew Todhunter possesses above average wrestling and a very creative submission game. The former U.S. Army Sniper has finished all of his fights by submission within the first two rounds. It will be interesting to see him in the cage against someone with a better wrestling pedigree. That will give us our first true look at what type of fighter Todhunter will be. It is hard to put Good on this list of prospects, but the truth is it feels like we have only scratched the surface of this young mans potential. Good is extremely talented on the feet and capable of finishing the fight on the ground. Wrestling has long been the kryptonite for Lymon. If he focuses his energy on improving that aspect of his game he will be back on your television very soon. Walter Gahadza hasn’t fought in almost a year and that is a terrible thing for MMA fans around the world. Walter has incredible power in his hands and vicious knees to go along with it. We are still anticipating his BAMMA debut in early 2015; don’t be surprised to see him headlining shows by 2016. It will be interesting to see who he is matched up against after the long lay off. 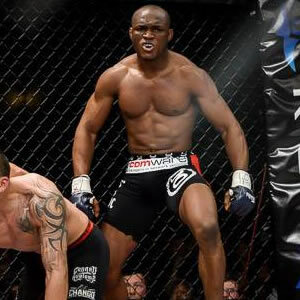 Kamaru Usman is setting himself up to be a destroyer in the Welterweight division. Usman has great top control on the ground and the type of power in both hands that can stop anyone in the division. 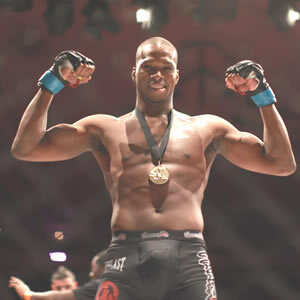 He hasn’t fought top competition in the cage, but he trains with Rashad Evans and Anthony Johnson so there is little doubt he is ready for anyone. Don’t be surprised to see this name in the UFC before long. 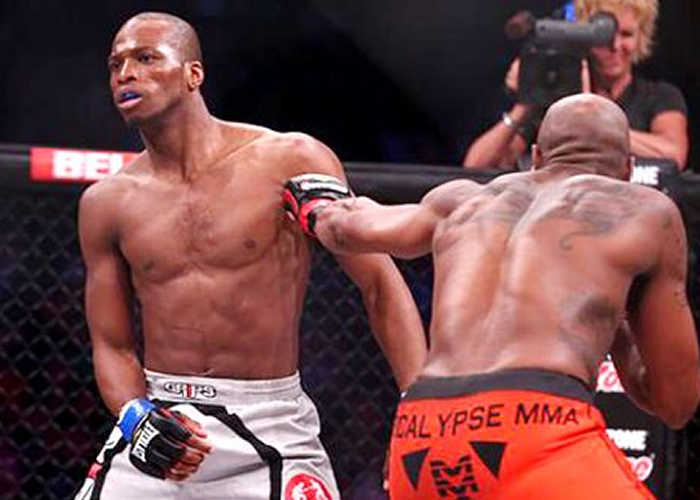 Really, who hasn’t seen one of Michael Page’s fights on YouTube? If you haven’t, you are missing out. Page’s unique style and ability to throw combinations from any position, with power, are what make him so dangerous. There has been tremendous hype around Page and he appears to thrive on it. It will be interesting to see how Page fares against the cream of the crop in the Bellator Welterweight division. Now, I have to bring up the fact that Ben Askren is no where to be seen on this list. I went back and forth on if he should be included. The fact is Ben is one of the best Welterweights on the planet, but I don’t think it is fair to him or this list to consider him a prospect. 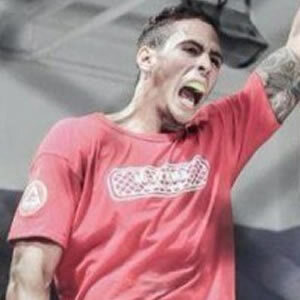 Best of luck to Ben in his title defense for ONE FC this April.